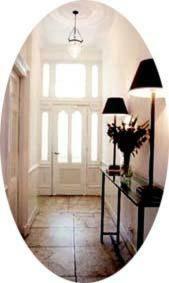 Rooms & Co Bed And Breakfast, Amsterdam discount hotels and accommodation. This recent renovated house, dating from 1910, offers 4 rooms in total: 2 rooms on the souterrain and 2 rooms on the ground floor. Different colours and interior design is what separates the 4 rooms from one another. The differentiating basic colours (black, white, blue and brown) used for each room is what defines the rooms names. View photos, room descriptions and make online reservations at Rooms & Co Bed And Breakfast. Save on room prices at Rooms & Co Bed And Breakfast, Amsterdam.